Downbound the St. Marys River, July 14, 2009. Launched November 23, 1962; this Great Lakes "straight deck" bulk carrier was built by Verolme Cork Shipyard, Cork, Ireland as their hull # 662 for Mohawk Navigation Co., Montreal, QC. The new laker was the first major Great Lakes vessel to be constructed with all accommodations aft and was also the first laker to be built from the keel up at an overseas shipyard. With the opening of the St. Lawrence Seaway in 1959, Canadian ship owners had all the Canadian shipyards booked to capacity with orders for new boats. Consequently, to accommodate the need for increased capacity, the Canadian government had granted permission for new-builds to be constructed at foreign shipyards. Originally named to honor the area in Ireland from which the vessel was built, the laker was christened Silver Isle on May 8, 1963 at Sept Isles, QC after crossing the Atlantic Ocean from Ireland under her own power. 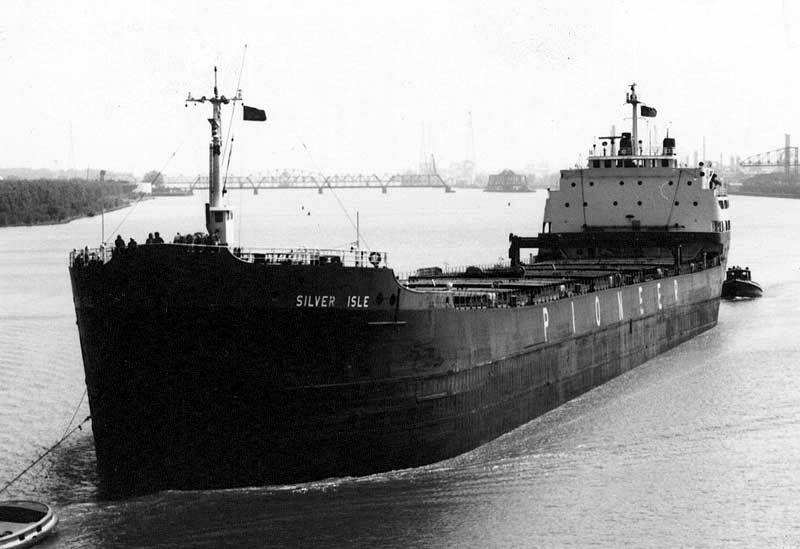 Shortly after, the Silver Isle was loaded with a cargo of iron ore and was noted on May 11, 1963 as transiting upbound through the Welland Canal on her maiden voyage to Cleveland, OH. At the time of her launch in 1963, the new bulk carrier was considered as being the leading edge in shipbuilding technology. The vessel was the first on the Great Lakes to be fitted with a large, slow-speed diesel engine instead of the usual steam turbine engines of the era and also the first with a controllable pitch propeller. She was designed for operating in the cold winter weather of the Great Lakes with a state-of-the-art heating and ventilation system and a heavy-ice strengthened bow with a "wave-breaking shear" that could keep the bow area dry in heavy seas. The laker is powered by a MAN. model K6Z78/155 two stroke cycle, single acting 6 cylinder 9,000 b.h.p. 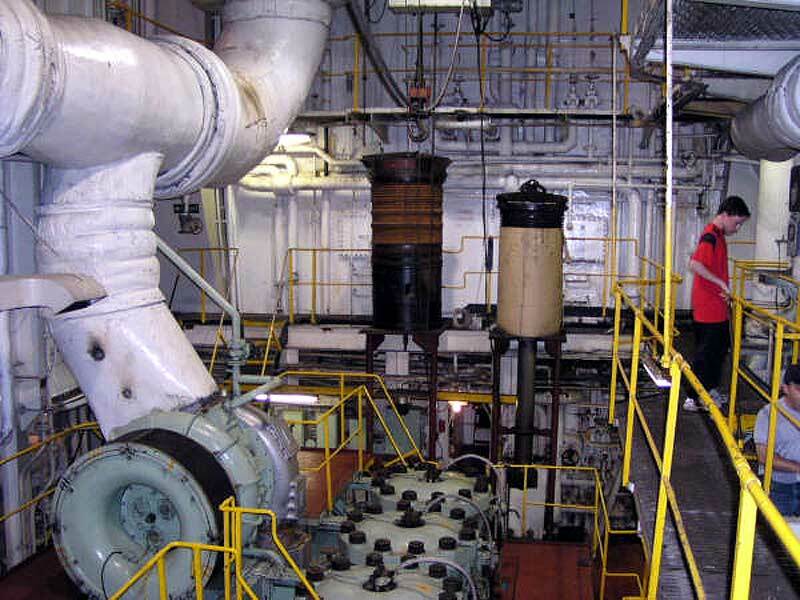 (6,620 kW) diesel engine burning intermediate grade 180 fuel. The engine was built by Verolme Machinefabriek IJsselmonde N.V., IJsselmonde (Rotterdam), Netherlands. 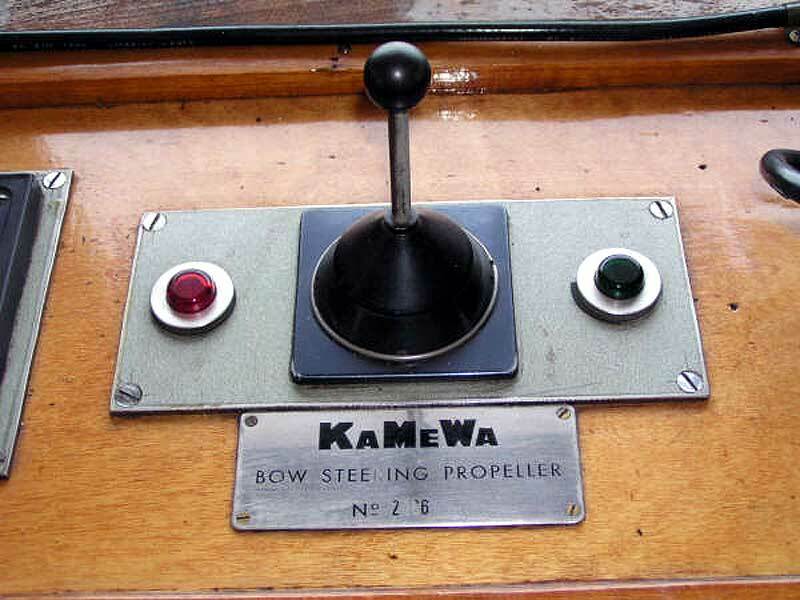 Power is fed to a single 19 foot (5.79m) KaMeWa controllable pitch propeller which can push the vessel at speeds of up to 19.3 m.p.h. 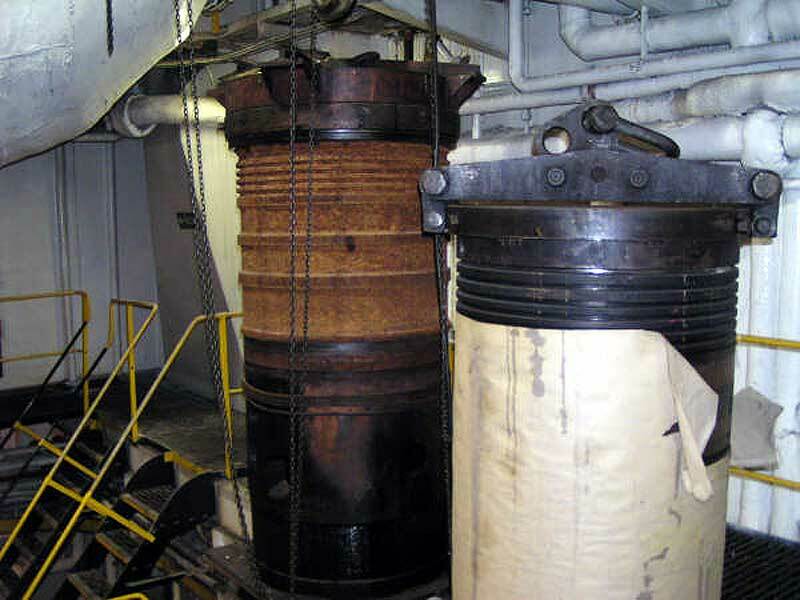 The laker is equipped with a 700 h.p. 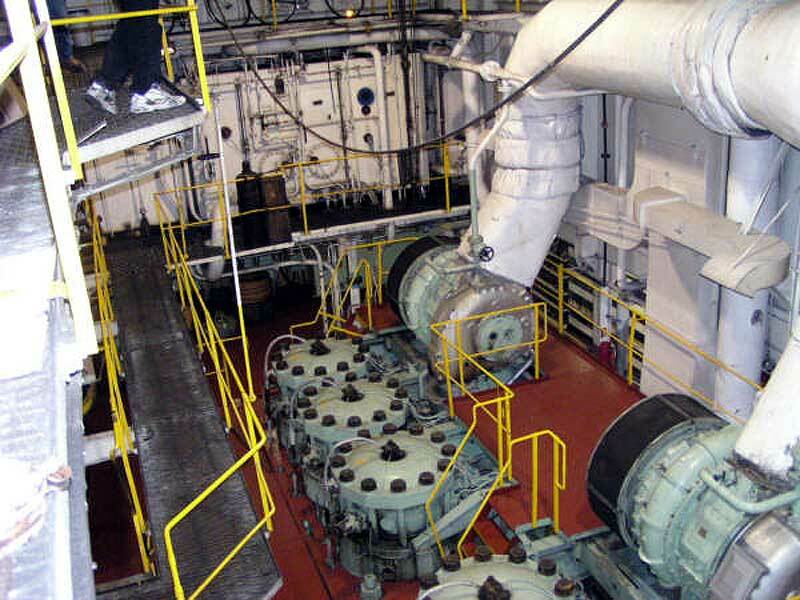 (522 kW) bow thruster. Eighteen hatches service 6 holds where the bulker is capable of carrying up to 26,700 tons (27,129 mt) at a mid-summer draft of 27' 05.5" (8.37m) and approximately 25,087 tons (25,490 mt) at the new Seaway draft of 26' 06" (8.08m) implemented in 2004. The bulk carrier's holds have the cubic capacity to handle 29,900 net tons ( 26,697 tons / 27,125 mt) of coal which exceeds her listed carrying capacity, 26,700 tons (27,129 mt) of wheat, 25,915 tons (26,331 mt) of corn or rye, 22,523 tons (22,885 mt) of barley or 20,865 tons (21,200 mt) of oats. Other capacities include 550 tons (559 mt) of fuel oil, 65 tons (66 mt) of potable water and 10,181 tons (10,345 mt) of water ballast. Shortly after entering service, on June 9, 1963 the Silver Isle was in collision with the Dutch saltie Prins Alexander during a rain squall on the St. Lawrence River near Carlton Island (Kingston, ON). The Silver Isle was only slightly damaged but the Dutch vessel was more severely damaged. This was just the first of a number of incidents involving the Silver Isle, some of which are outlined here. After groundings in 1970 and 1975, the Silver Isle struck the guide wall at the Snell Lock of the St. Lawrence Seaway on April 13, 1977 causing serious bow damage. 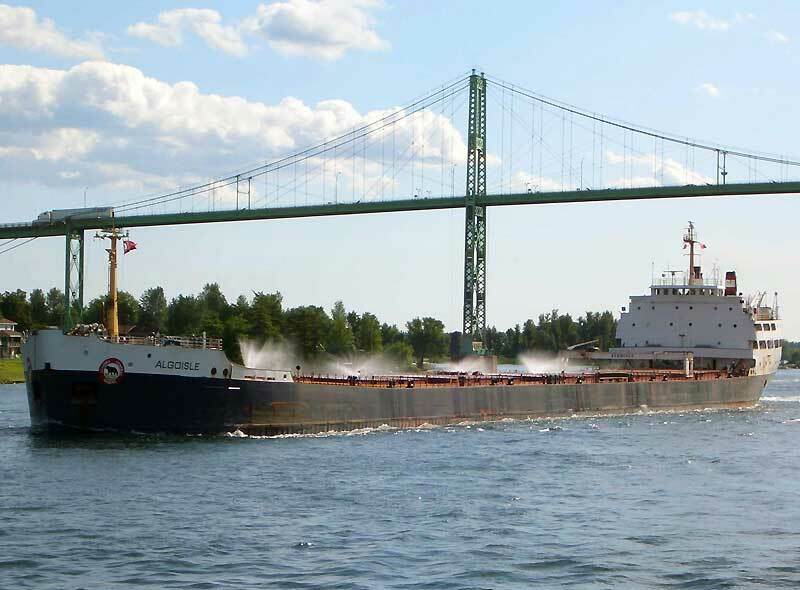 The bulker was in transit from Pointe Noire, QC with iron ore for Gary, IN when the incident occurred. 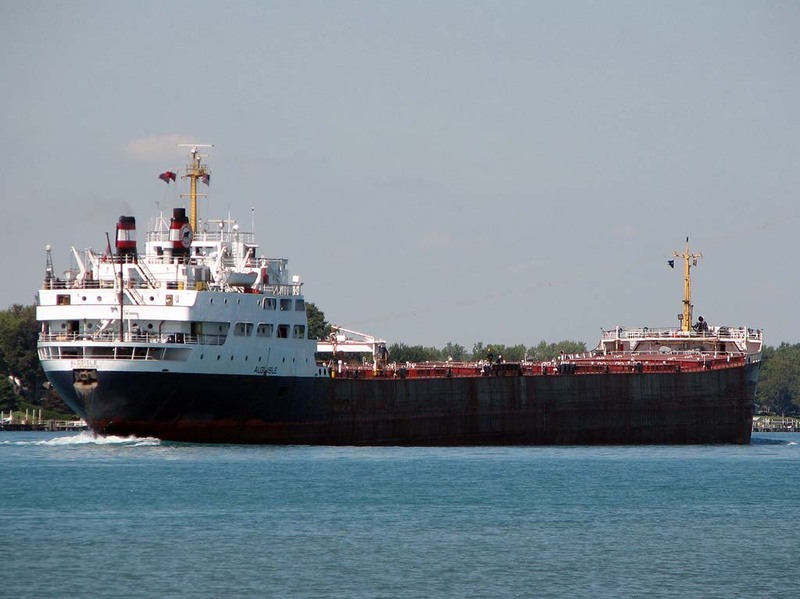 The vessel was lightered to raise the gash above the water line and then proceeded to Port Colborne, ON where a 55-foot by 10-foot (16.76m x 3.05m) section required repair. 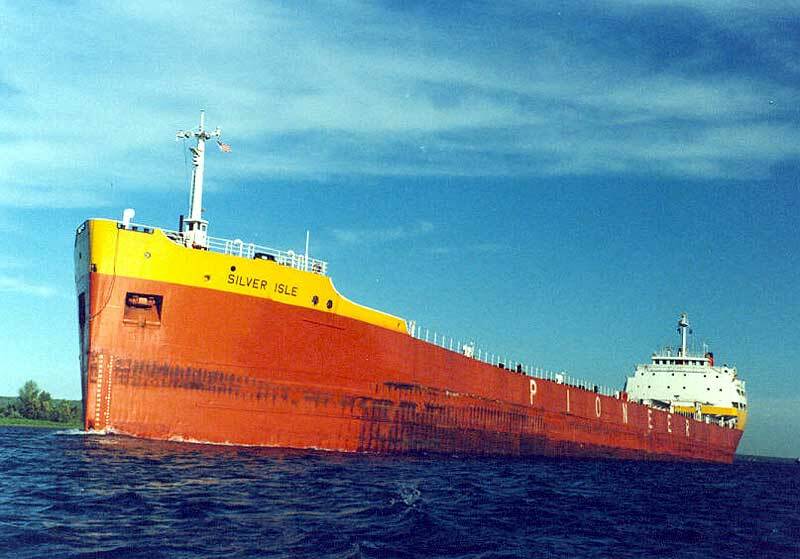 On April 30, 1984 the Silver Isle suffered "stress of weather" damage receiving a 12-foot (3.66m) deck crack and numerous shell plating cracks when the vessel was hit by large waves in heavy seas on Lake Superior west of Caribou Island. 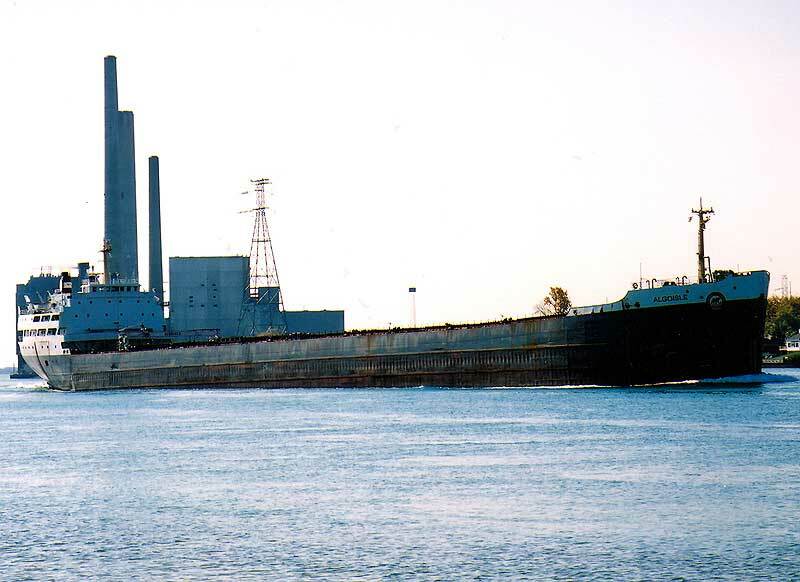 Repairs were completed at Thunder Bay, ON costing approximately $176,000 (CN) with the bulker returning to service on May 16, 1984. 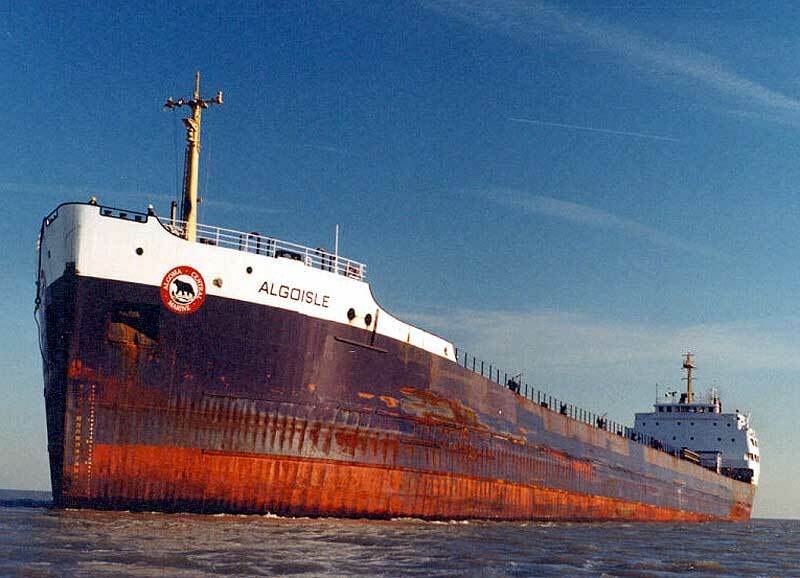 On April 12, 1991 the laker collided with the Algerian saltie Sersou on the St. Lawrence River just east of Montreal while upbound in ballast for Thunder Bay. The Silver Isle received a 130-foot (40m) gash at the port bow, another tear port amidships, and serious damage to her superstructure aft also on the port side. The bulker docked in Montreal for damage assessment and then proceeded to Port Weller Dry Docks, St. Catharines, ON for repair. The Algerian vessel received extensive bow damage. 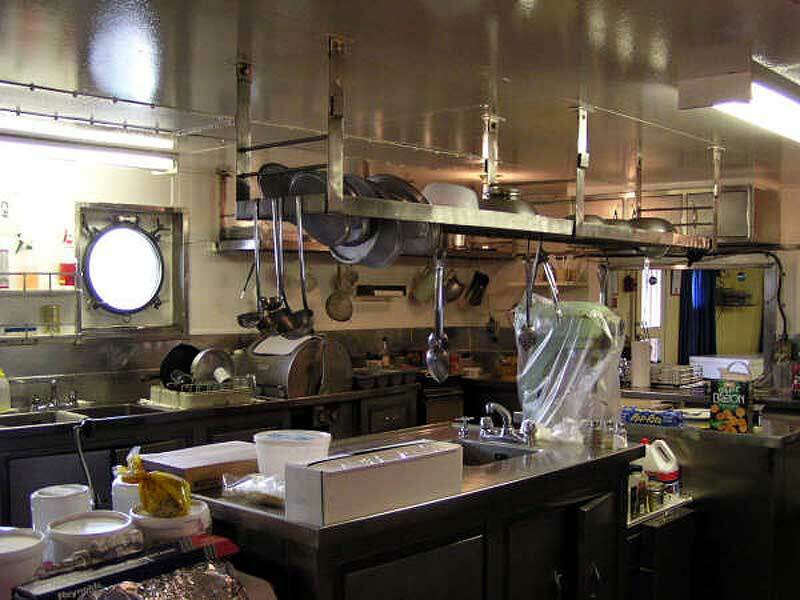 The Silver Isle continued to sail under Mohawk Navigation ownership until 1980 with the period from 1970 through 1980 operating under the management of Scott Misener Steamships Ltd., St. Catharines, ON. 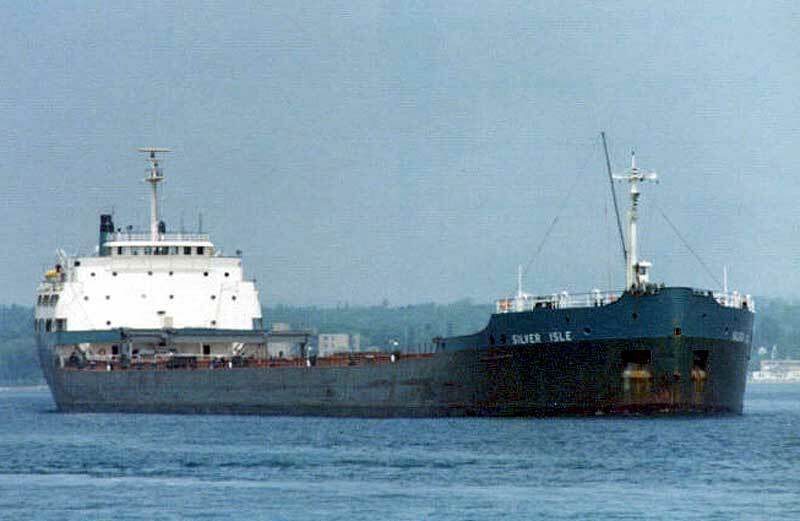 Early in 1980, in time for the start of the navigation season, the Silver Isle and her fleetmate Senneville were acquired by Pioneer Shipping Ltd with Misener Transportation Ltd., St. Catharines continuing to manage the vessels. Eventually, the vessels received the distinctive Pioneer color scheme with the red on orange hulls, yellow forecastles, and white cabins with a stylized "JR" on the stacks and white lettered Pioneer on the sides of the hulls. Pioneer Shipping was an affiliate of Pioneer Grain which, in turn, was part of the grain firm James Richardson and Sons, Winnipeg, MB (hence the "JR" stack markings). 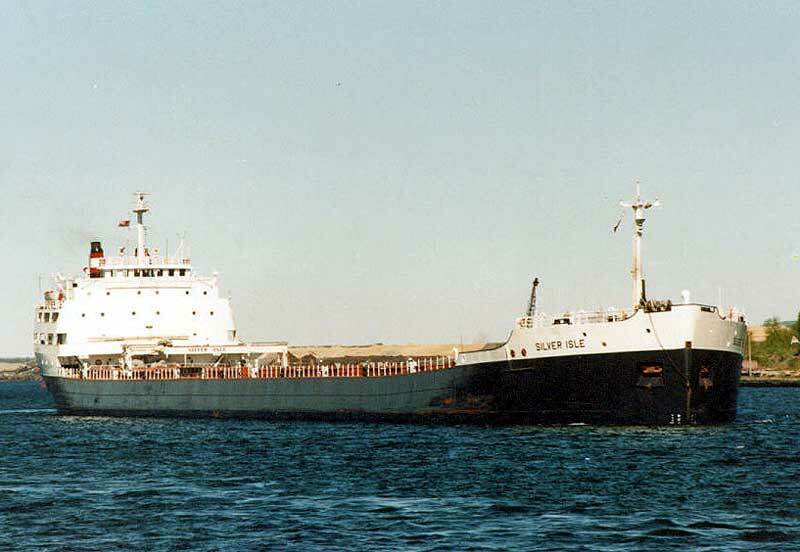 From 1991 to 1994, the Silver Isle and her fleetmates were operated by Great Lakes Bulk Carriers, Inc., St. Catharines, ON, a consortium consisting of the bulker fleets of Canada Steamship Lines, Misener Holdings and Pioneer Shipping, though still being managed by Misener. 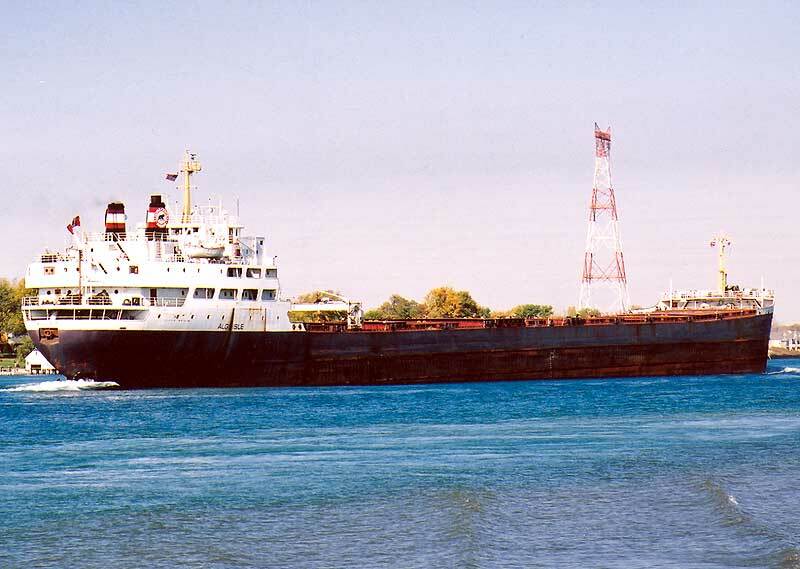 April 8, 1994 marked the closure of a deal whereby Algoma Central Marine, St. Catharines, ON purchased the Silver Isle and her fleetmate Senneville from Pioneer Shipping for $5.7 million (CN) following the collapse of Great Lakes Bulk Carriers, Inc. On June 1, 1994, the Silver Isle officially became part of the Algoma Central Marine fleet. 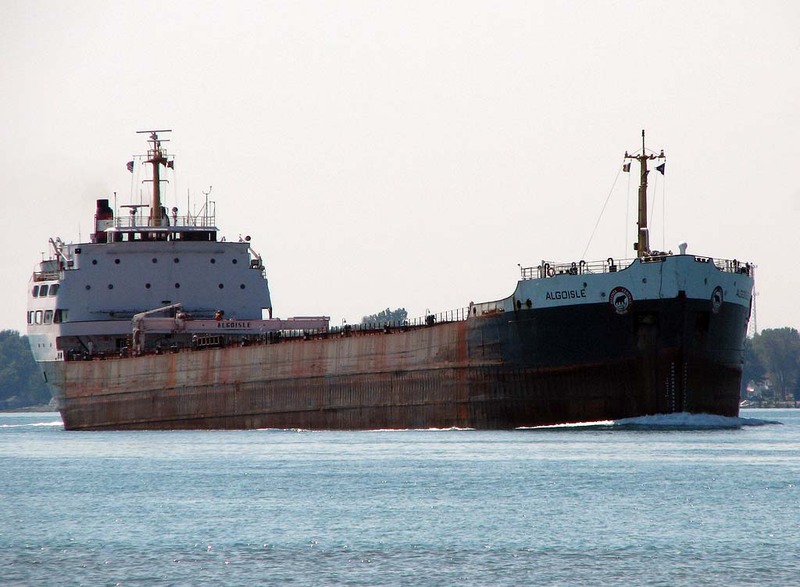 After repainting and being renamed Algoisle, the bulker entered service for her new owners under the management of Seaway Bulk Carriers, Winnipeg, MB (a partnership between Algoma Central and Upper Lakes Group). 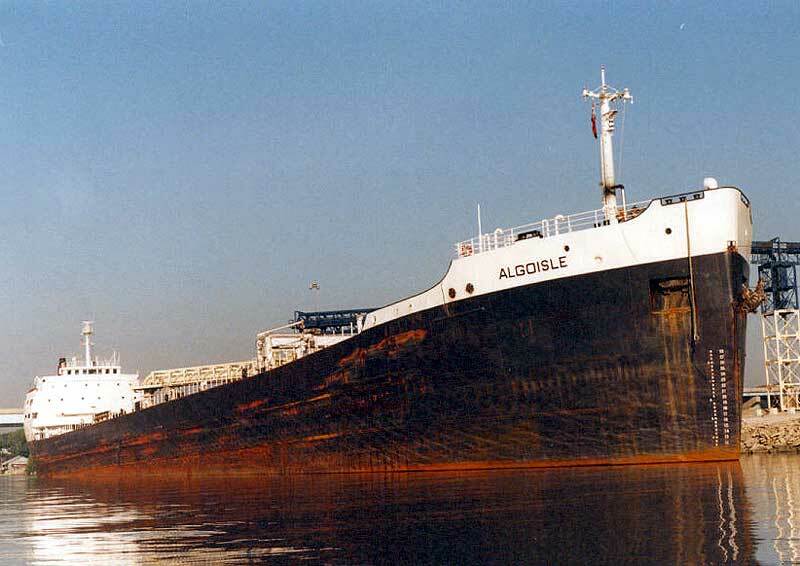 The only noted incident of a more serious nature as part of the Algoma fleet occurred on December 2, 1999 when the Algoisle touched bottom and began taking on water on her starboard side while transiting the St. Lawrence River near Alexandria Bay, NY. 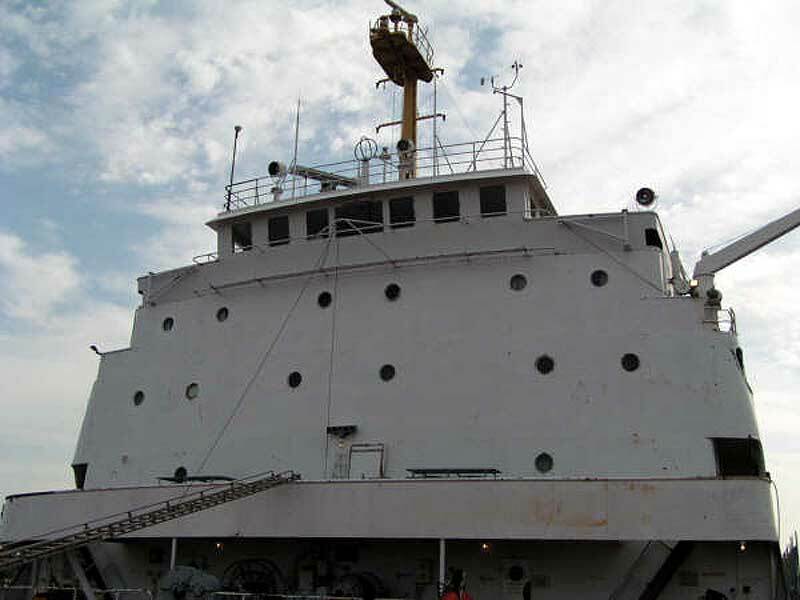 The laker proceeded to Thunder Bay arriving December 13 for repairs and a 5-year survey. 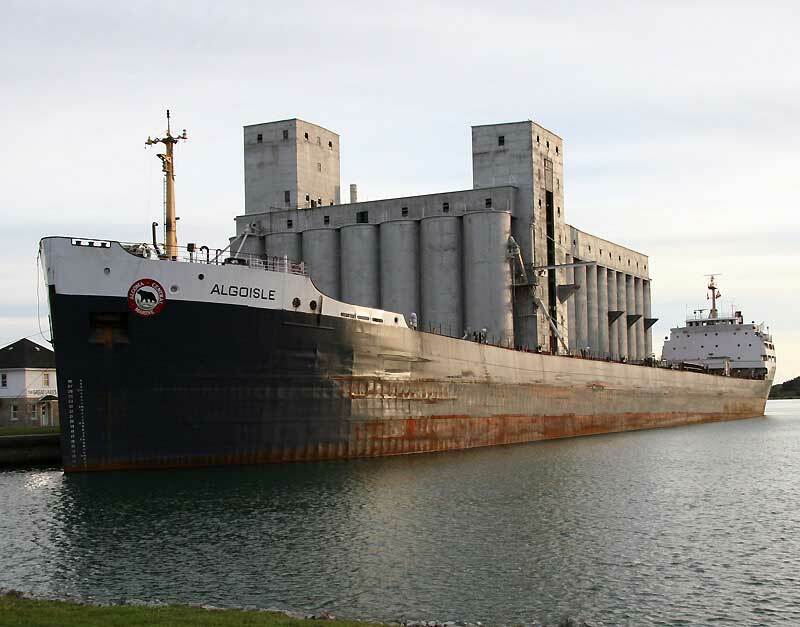 After continuously sailing every year, the Algoisle was placed into long-term lay-up at Toronto, ON on December 21, 2000 as a result of a decline in grain cargoes. 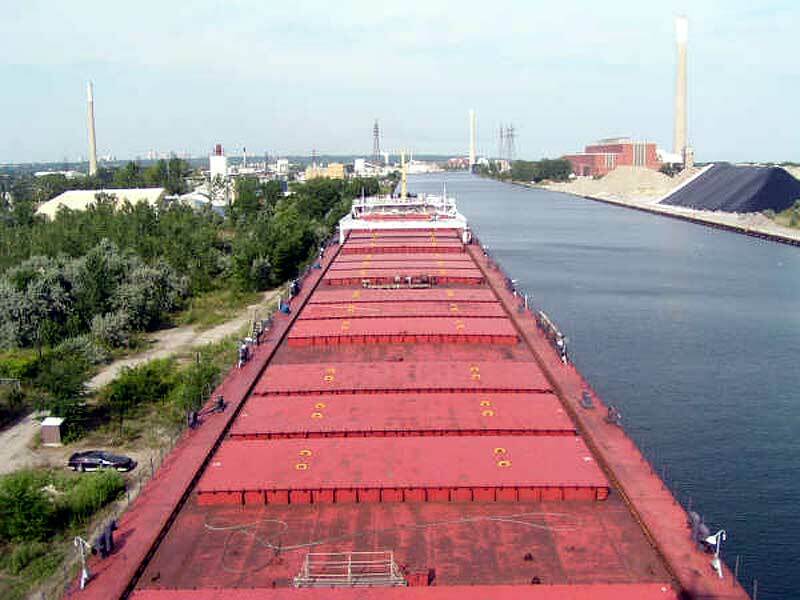 This lay-up followed her first year of operation under the management of Seaway Marine Transport Ltd., St. Catharines, ON; the derivative company resulting from the amalgamating of the operations of Seaway Bulk Transport and Seaway Self Unloaders into one operation on January 1, 2000. 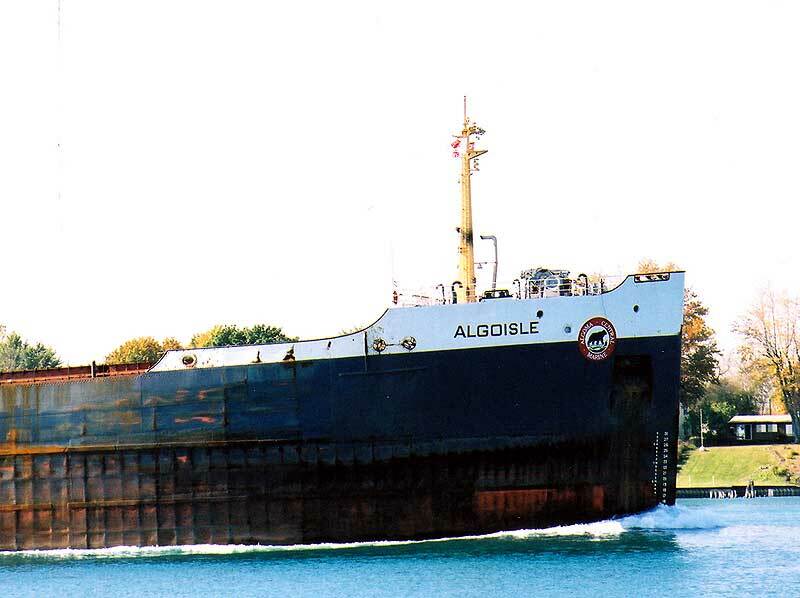 On December 18, 2003 the Algoisle was moved from Toronto to Hamilton, ON by tugs Vigilant 1 and Progress for winter lay-up and repairs preparatory for her return to service. 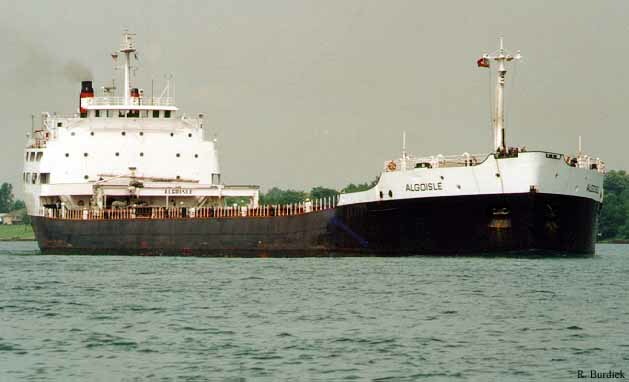 On April 24, 2004 the Algoisle returned to active service leaving Hamilton in ballast for Thunder Bay, ON; continuing to sail as part of the Algoma Central fleet, being operated and managed by Seaway Marine Transport of St. Catharines, ON. The bulker was forced to drop anchor while downbound the St. Lawrence River between Trois-Rivieres and Quebec City, QC on April 2, 2006 after experiencing a complete black-out. 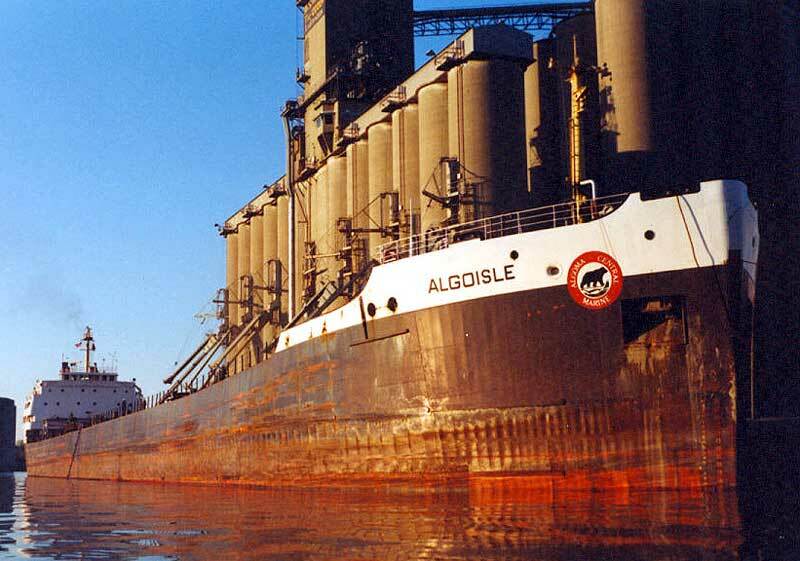 Once the main engine lubrication system was working, the Algoisle proceeded to Becancouer, QC under her own power for inspection before continuing on to Havre St. Pierre, QC to load iron ore for Sorel, QC. On March 11, 2007, Captain Charles Wheeler, former Master of the Algoisle for many seasons, passed away at Hamilton, ON in his 58th year. 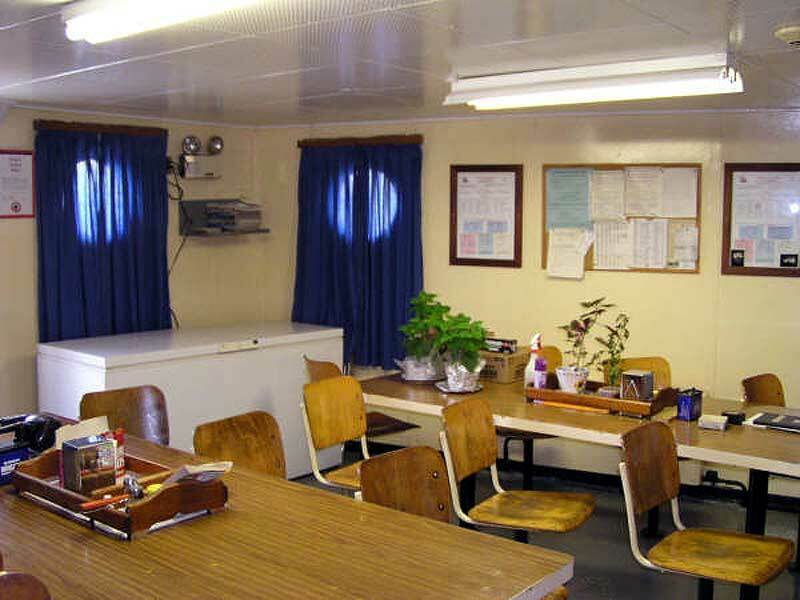 Captain Wheeler's first command was the Silver Isle back in the 1980's, sailing under the Misener banner. 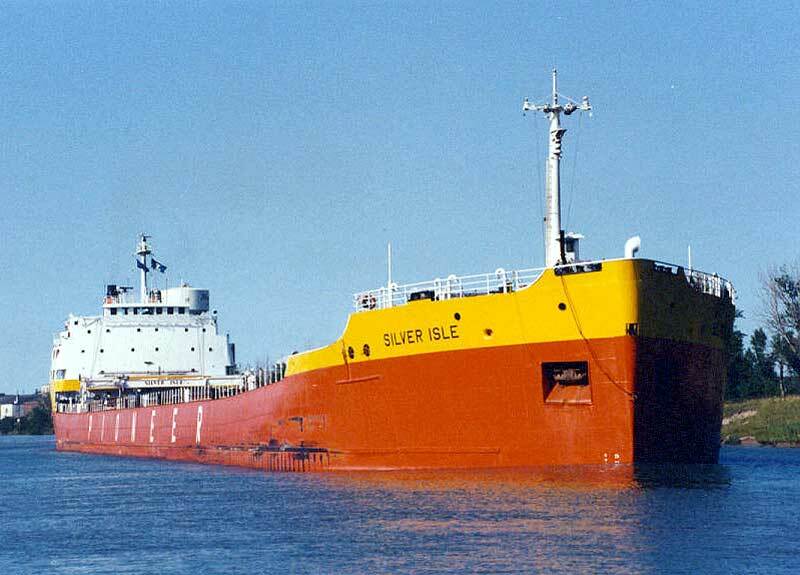 Captain Wheeler commanded the Silver Isle in the early 1990's when the bulker sailed for the Great Lakes Bulk Carriers consortium and retired in 2004 as Master of the Algoisle. 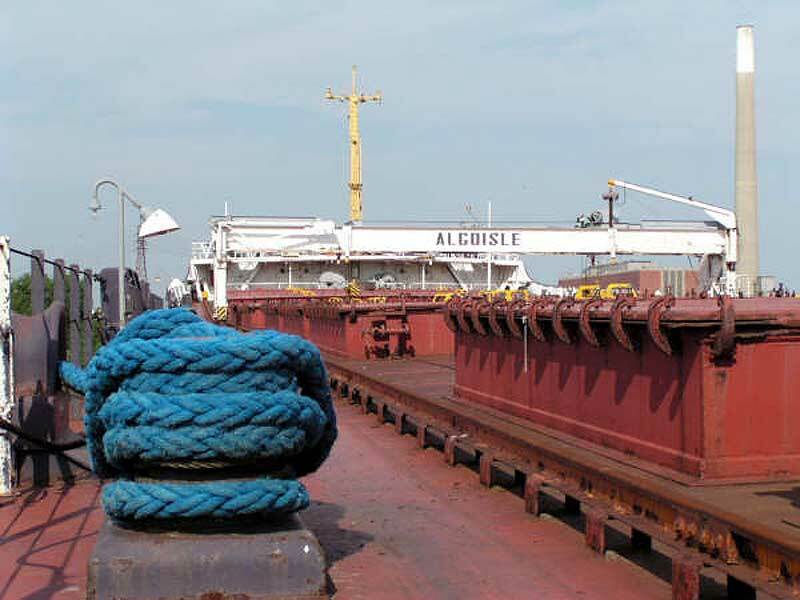 Early on October 31, 2008, one man was killed and another injured after a mooring cable snapped on the Algoisle as the vessel was being loaded with iron ore at Havre St. Pierre, QC for Sorel, QC. Both men were from the Algoisle crew. 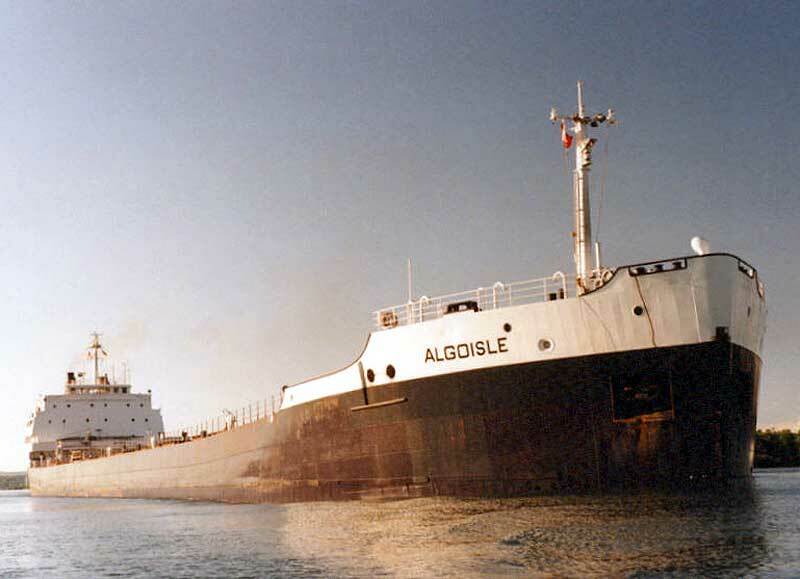 After 47 years of service on the Great Lakes, the Algoisle departed Thunder Bay, ON December 17, 2009 on her final voyage under the Algoma Central / Seaway Marine Transport banners. Capt. 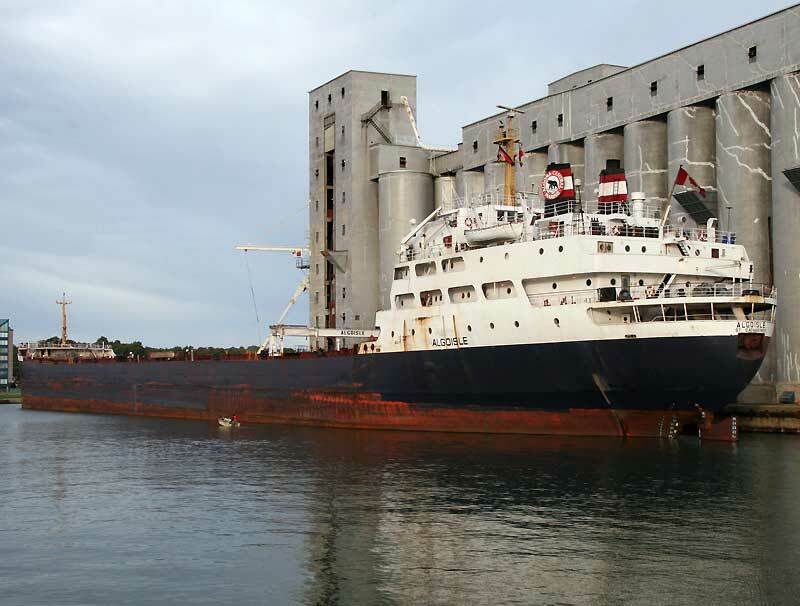 Seann O'Donoughue, master of the Algoisle since 2007 and a 25-year veteran of the seas, guided the bulker on her 1,876 nautical mile trip to Port Cartier, QC laden with 24,326 mt of wheat. The Algoisle arrived at her destination port and commenced unloading on December 26, leaving December 28 in ballast for Montreal, QC. After arriving at Montreal on December 30, the Algoisle went into lay-up with an undetermined future. The retired bulker did not remain laid up in Montreal for very long. 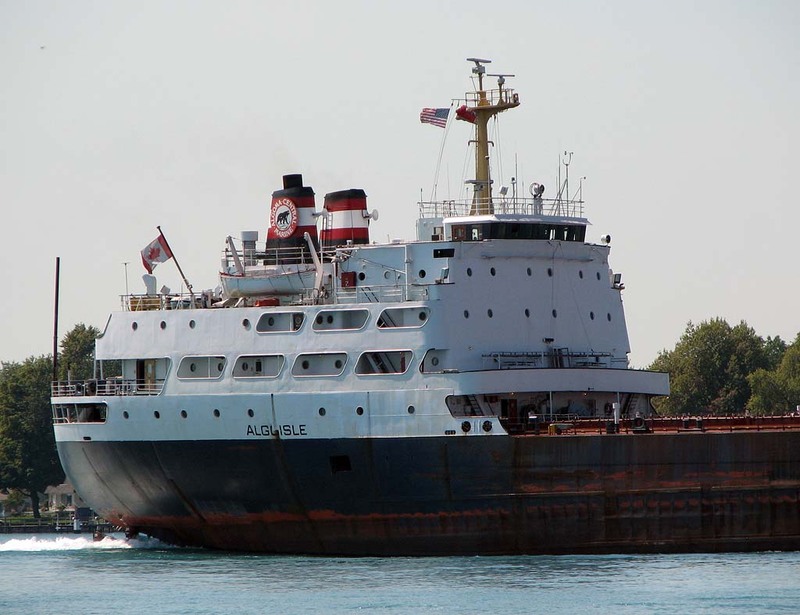 On October 5, 2010, the Algoisle was taken in tow by the 7,000 b.h.p. ocean tug Ionion Pelagos (owned by Mega Tugs Salvage and Towing SA, Piraeus, Greece) bound for the scrap yards at Aliaga, Turkey. 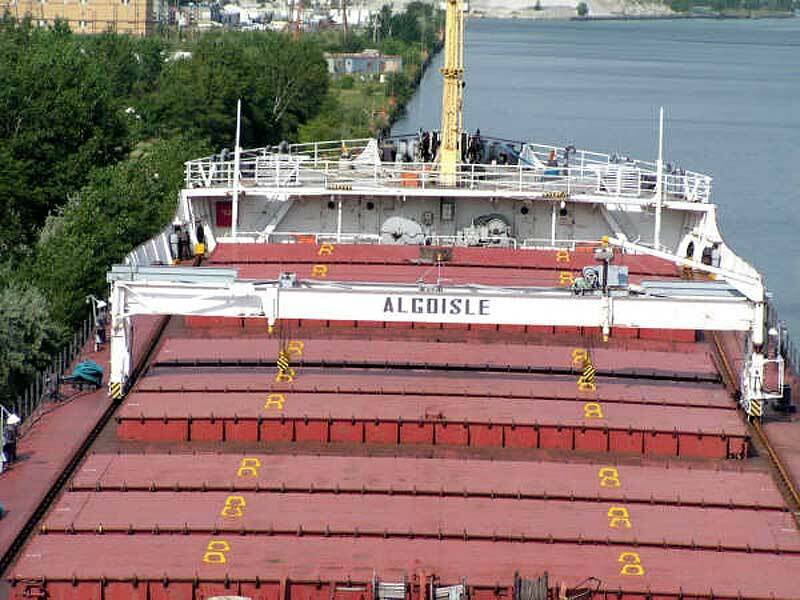 The Algoisle was the last of three veteran Seaway Marine vessels to leave Montreal for the Aliaga scrap yard in the fall of 2010, the preceding others being the Agawa Canyon and the Canadian Prospector. The tow arrived at Aliaga on November 11, 2010. Cap de la Madeleine, QC, Oct. 5, 2010. 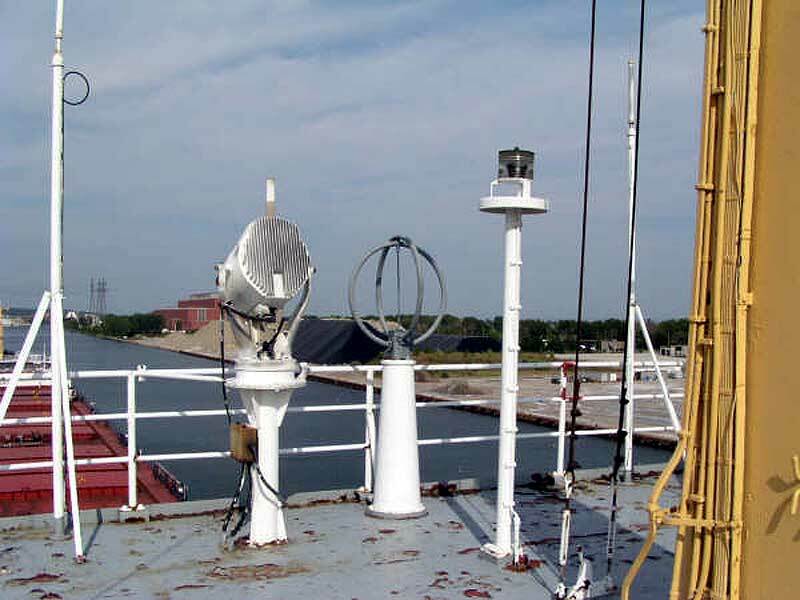 Stern view with steering tug Vigilant I.
Downbound the St. Marys River, Sept. 2009. Upbound the Welland Canal, Oct. 27, 2009. Upbound the St. Clair River, Sept. 3, 2009. Stacks and accommodations, June 26, 2009. Upbound at the Soo, May 25, 2009. Upbound the Welland Canal, Sept, 21, 2008. Wave from Capt. Seann O'Donoughue. Unloading at Quebec City, June 28, 2006. Arriving at Hamilton, ON, Apr. 12, 2008. Wintering at Hamilton, ON, Mar. 2, 2008. Loading at Goderich, ON, Mar. 29, 2008. Upbound the Welland Canal, Sept. 15, 2007. Upbound the St. Lawrence River, June 20, 2007. Squeezing passed the Algosoo at the Sifto Salt dock at Goderich, ON Sept. 13, 2006. Loading at Owen Sound, ON Sept. 11, 2006. Topping up at Goderich, ON Sept. 13, 2006. Downbound the St. Lawrence River, Aug. 5, 2006. Loading at Marquette, MI, June 4, 2005. At CSH1, Duluth, July 20, 2005. Upbound the Detroit River Oct. 5, 2004. Detroit River, June 2, 2005. Deck shot after climbing gangway. 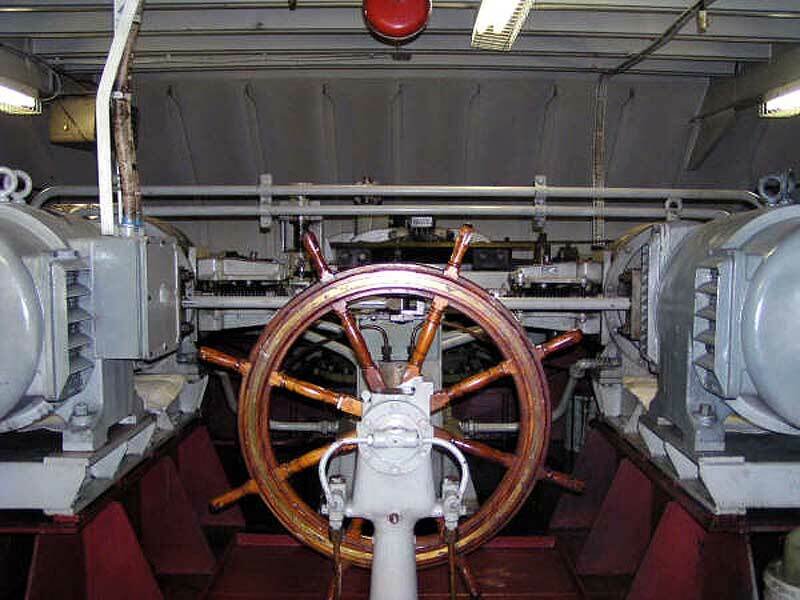 From on top the wheelhouse. 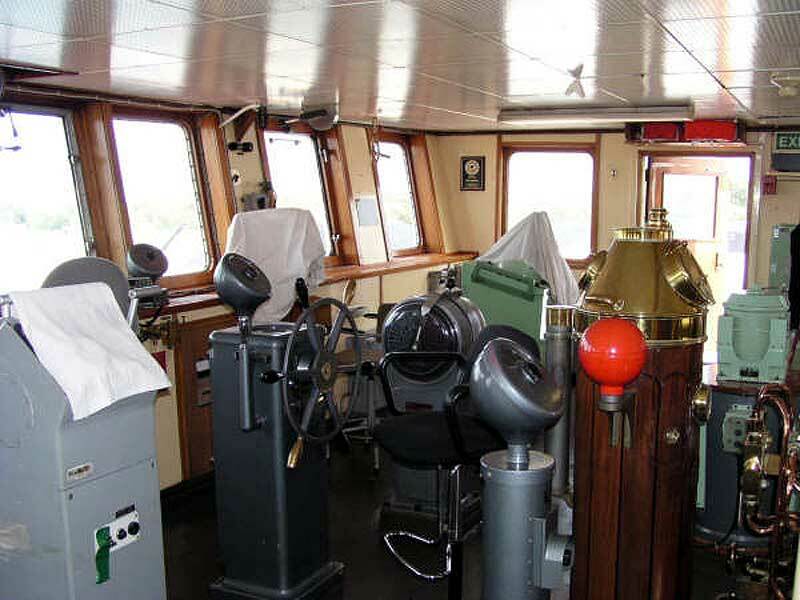 Close-up of instruments on top of wheelhouse. The original wheel, no longer used. One of the many passage-ways. Old piston head (left) and new one waiting to go in. 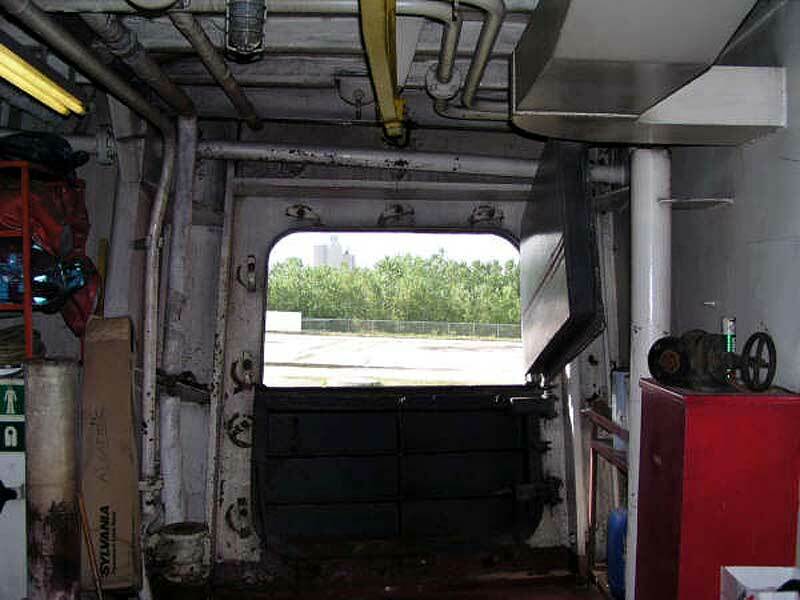 Looking out engine room cargo door. 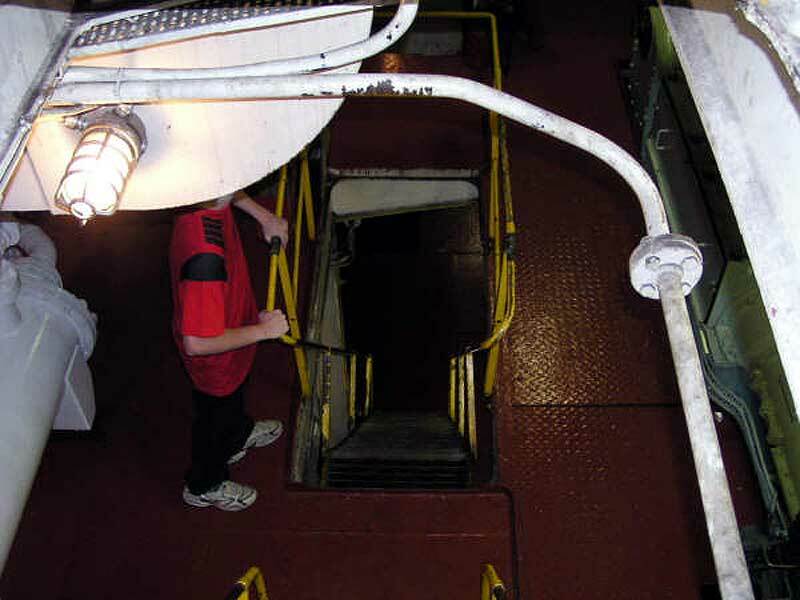 Looking down to the platform deck. 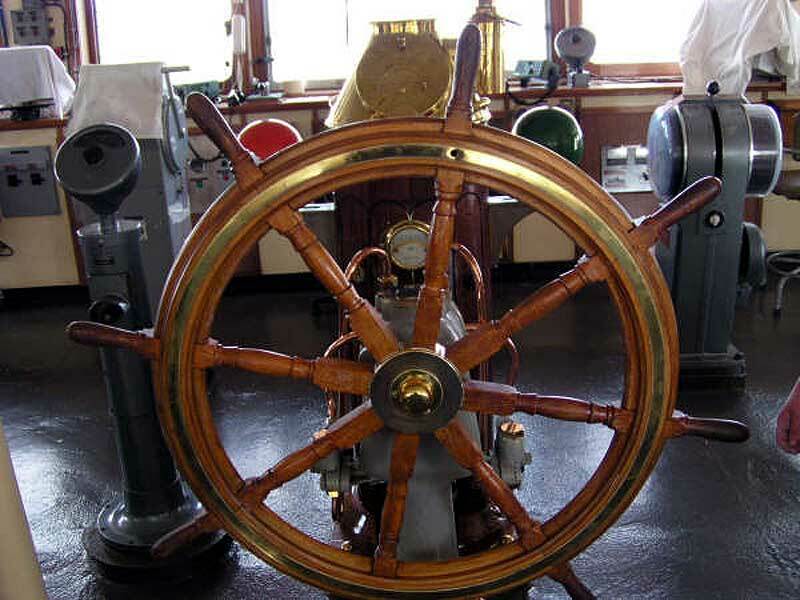 Another original wheel for emergency steering amongst the rudder machinery. Close-up of the new and the used piston heads. 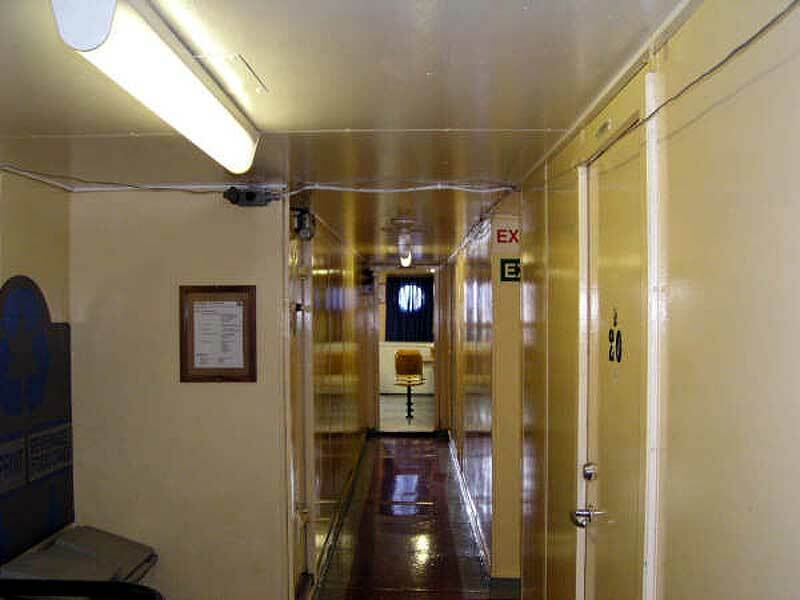 Overall view of the aft accommodations. Maumee River, Toledo 1980 shortly after becoming part of the Pioneer fleet. Upbound St. Clair River, Apr. 11, 1984. Upbound the Welland Canal 1991. Downbound the Soo 1994 after being repainted Algoma colors but before being renamed. Downbound the St. Marys River 1995. At Cargill Elevator, Toledo 1995. Inbound Maumee Bay, Toledo Oct. 1998. At Anderson's "K" Elevator, Toledo Oct. 1998. Upbound St. Clair River Oct. 2000. Toronto laid up Jan. 2001. Laid up in Toronto, June 2003. Upbound the Welland Canal Apr. 25, 2004. Upbound into Lake Huron May 2004. Loading Thunder Bay May 26, 2004. Downbound the St. Clair River May 31, 2004. Port Weller Dry Docks, June 2004. Upbound at the Soo June, 2004. 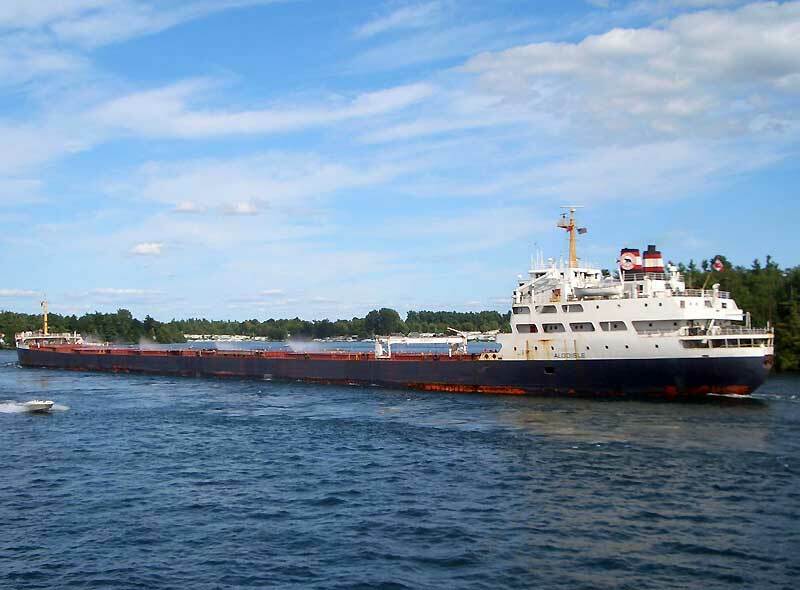 Downbound the St. Clair River 2004. Windsor, ON July 18, 2004. 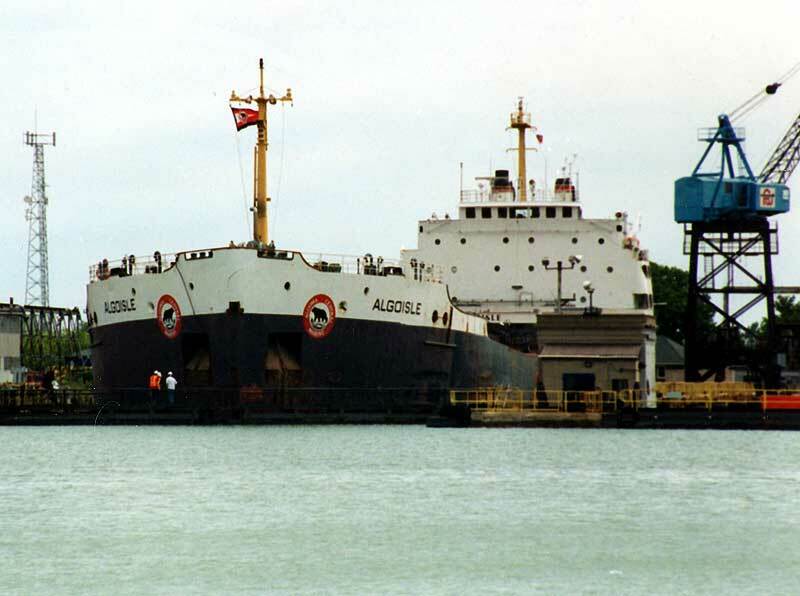 Upbound at Port Colborne Sept. 2004.